Rogue River, OR (October 2014) – As part of the 2014 North American Association of Floor Covering Distributors (NAFCD), Wagner Meters’ flooring division will be on hand to feature its complete line of moisture measurement products for flooring professionals, including the new Professional Flooring Installer Package (WFP400). With the damage-free, easy-to-use technology of the MMC220 and the Rapid RH® Touch-n-Sense™ Easy Reader, monitoring moisture content has never been simpler or more reliable. The award-winning Rapid RH® DataMaster™ is also designed to protect data integrity for easy reporting and analysis on each concrete job site. 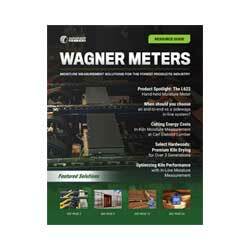 For more information about Wagner Meters’ complete line of accurate and affordable moisture measurement tools, visit Wagner Meters’ knowledgeable staff at booth #310 at NAFCD, November 18-20, 2014 in Dallas, Texas, or visit www.wagnermeters.com.